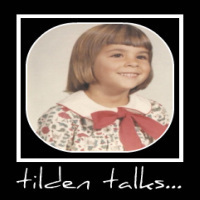 tilden talks...: Logos Rated - Simple! I've been searching for a company to have a couple logos designed. I need one for the greenhouses and one for my blog.I want something plain and simple for my blog, but one that's interesting and informative. Logo Works seems promising to me, but I'm unsure. LogosRated.net is a company the reviews design companies and puts all the comparative info in one place. From there it's easy to peruse and choose which design company best suits your needs. The logo for the greenhouses needs to be a little more than simple and plain. I want that logo to show color and detail, I want the greenhouse logo to showcase what they are all about in a tiny space. I want the greenhouse logo to be easily recognised and most important, remembered. Logo Design Guru has a great package for small businesses. After a consult, Logo Design Guru will design a logo, include one revision and charge a very reasonable price.This is great! It's just what I had hoped for. I'm still going to shop around a bit, but LogosRated.net has taken away the worry and stress of choosing a design company. I'll design a logo for your blog! Free! I need need some red lipstick, and a white coffee mug.